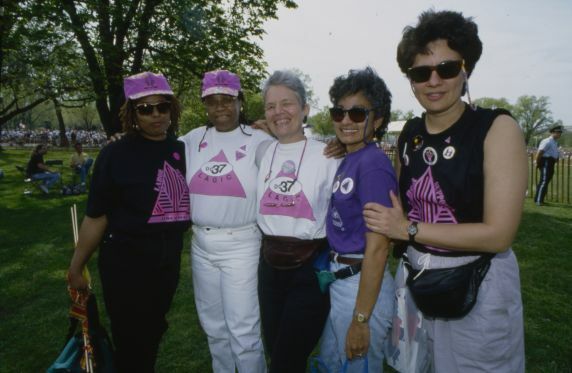 Members of AFSCME DC 37 New York, Lesbian and Gay Issues Committee (LAGIC), at the March on Washington for Lesbian, Gay and Bi Equal Rights and Liberation. Second from left is Regina Shavers, who spoke at the event as a representative of the American labor movement. Washington, DC, April 25, 1993.